I'm so sorry there's been a lack of posts on as told by sheena lately; I've been busy looking for my first full time job and have been chasing something very important... But more on that in a later post! Maybe. I'm all about chasing new adventures this year (you can read more about that here), so we decided to do something different this week and went to find the gannet colony at Muriwai! I loooooooved this wall. The colours... Just wow. 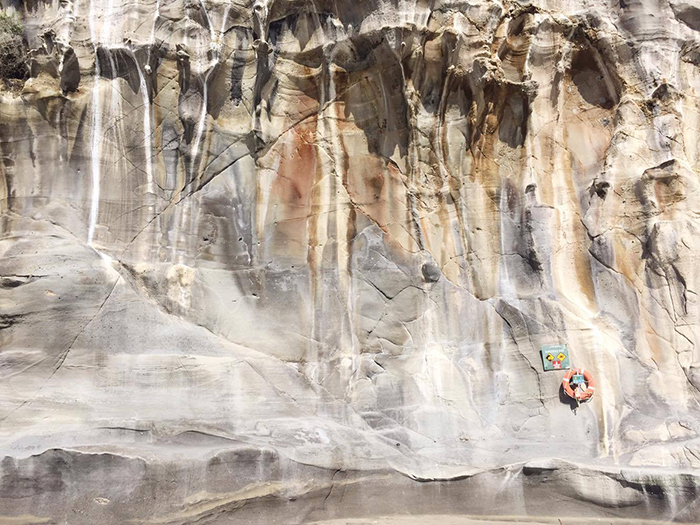 There are activities to please everybody at Muriwai, from the keen fisherman to the avid surfer. I'm just a budding explorer interested in new adventures. 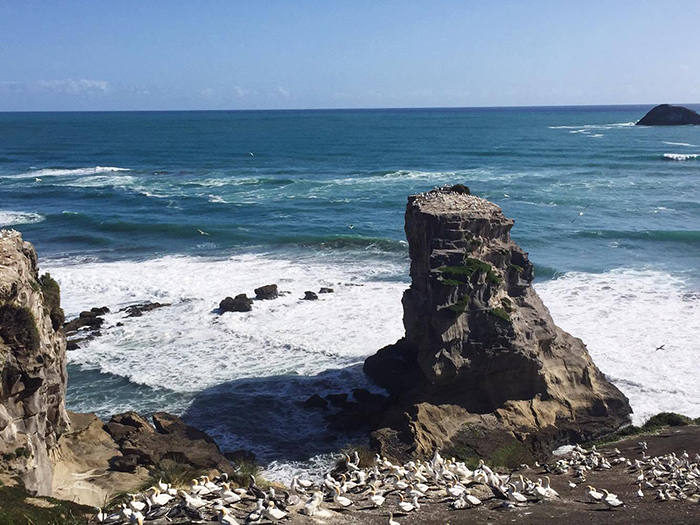 Muriwai was the perfect start to my "hiking journey" and the walk up to the viewing platforms to see the gannet colony was short and sweet. I did it in jandals! I love being by the sea. Dad's been fishing recreationally for as long as I can remember, and though I'm not the best at fishing (nor do I have the patience to go as much as him), I would sometimes accompany him on his trips to the sea. He'd spend the day running ahead on the rocks to find the perfect spot to fish from, and I would walk and find the biggest, smoothest and most comfortable rock to sit on for the rest of the afternoon. 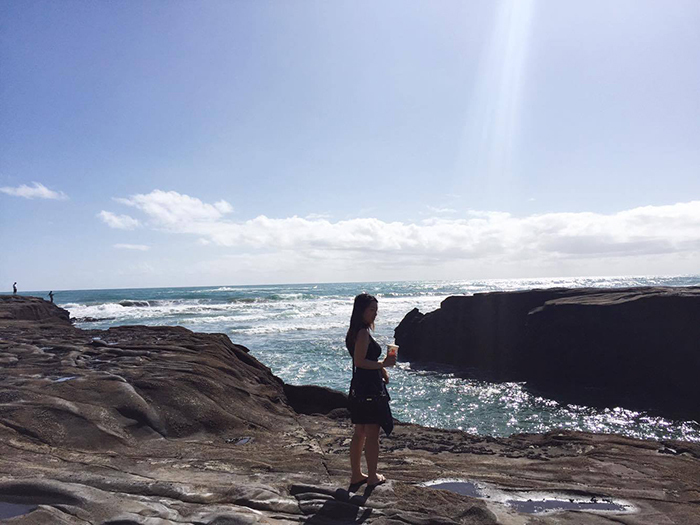 There's something so relaxing about the sea, from the smell of sea salt to the sound of the waves crashing on the rocks. 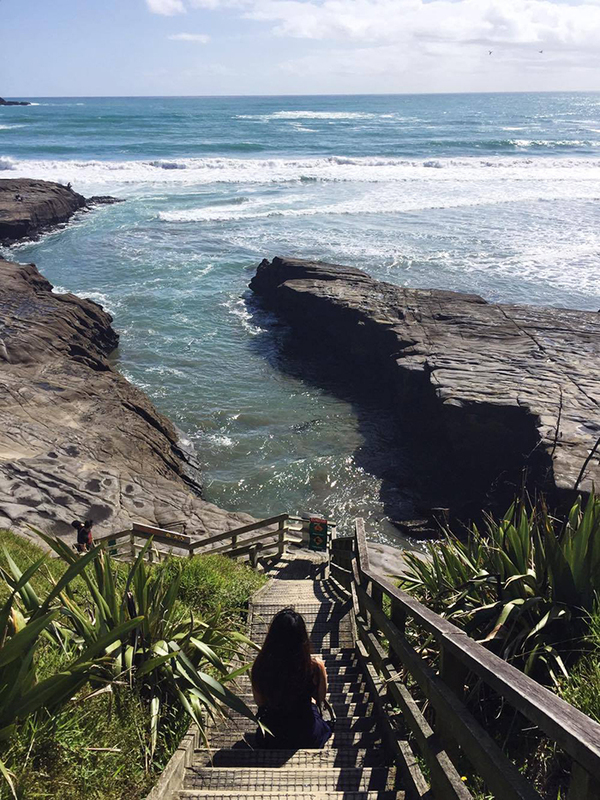 If you need an afternoon away, I do recommend heading out and finding a spot for the afternoon, to just soak up the beauty of New Zealand beaches. The sky was incredible this afternoon! Literally no filter needed. 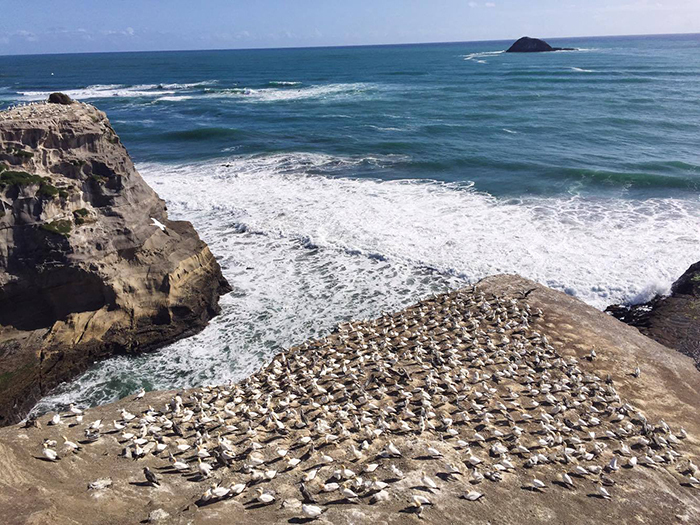 The gannet colony can be seen at Muriwai from August to March. 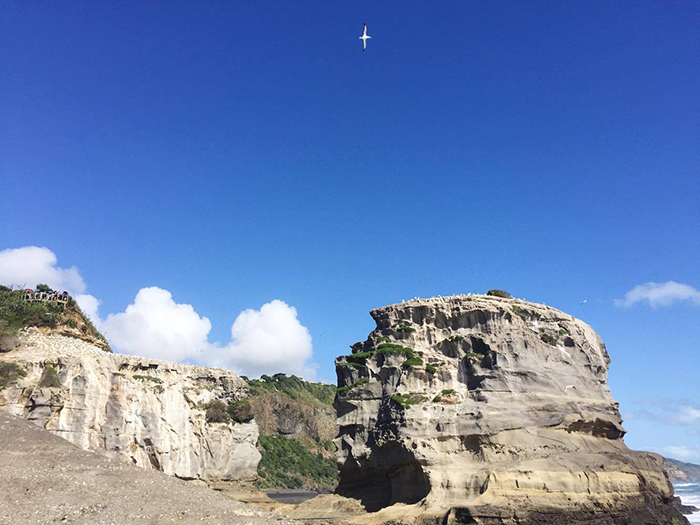 At the end of March, the gannets fly off to Australia, and the birds that survive fly back to Muriwai to secure their nests years later. I also found out that gannets are romantics, and remain loyal to their partners for about 20 years! The facts you learn from reading the information boards along the walk. I didn't spend much time on the actual beach this visit, but I am definitely planning to come back! Black sand beaches are so pretty. 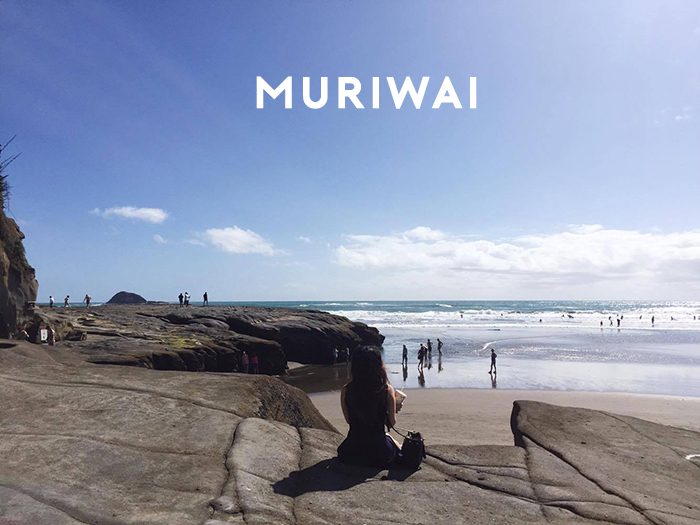 Have you been to Muriwai before?